Many frustrated men and women losing their hair are often told that their hair loss is just an unfortunate fact of growing older, and to deal with it. This is a cruel prognosis that fails to consider just how important hair is to our sense of self and beauty—it fails to acknowledge that it is natural to want healthy, lustrous hair. The reality of hair loss treatments is far more optimistic for any hair loss sufferers. The arsenal of tools available to combat hair loss becomes more advanced and sophisticated every day, but it can be difficult to know which treatments to use. Here is an overview of some of the latest treatments around, proven to get you the results you need. 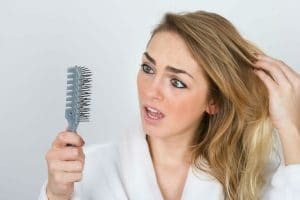 The process of pattern hair loss has a powerful genetic component, and once it starts, it is unfortunately irreversible. But, irreversible hair loss does not have to prevent you from having a full, thick head of hair. We are able to bypass genetics and use our body’s own regrowth mechanisms to get hair to where it is needed most. FUE hair transplants carefully select the perfect follicular units (comprising of a couple of hair follicles) from around the scalp. A team of skilled surgeons then precisely transplant the follicular units to the problem areas in a way that matches the natural shape, volume and texture of the hair. This process gives surgeons an enormous amount of control over the look of the hair, and provides results that can match the highest expectations for hair growth. The best part? There is virtually no scarring or recovery period, so you can get back on your feet in no time! Low level lasers are an innovative treatment for hair loss that can prompt unprecedented natural hair regrowth. This clinically safe laser technology projects lasers onto damaged hair follicles, penetrating the surface of the skin and stimulating blood flow. This process allows dying, prematurely closing follicles to receive the nutrients, oxygen and blood supply they need in order to start self-healing. The results are quite impressive – thicker, fuller hair within a few short weeks and months. It is a non-invasive, simple treatment that can make a huge difference without the need to schedule time for recovery. It has been touted as a promising treatment for the recent onset of pattern hair loss, and it has been given the stamp of approval by the American Food & Drug Administration (FDA). A newcomer to the field of hair loss treatments, Platelet Rich Plasma (PRP) treatments involve using the healing properties of your own blood platelets to stimulate regrowth. Contained in these platelets are growth factors – proteins that act as instruction manuals for repairing damage – which, when injected in increased concentrations, help hair follicles to regenerate. This treatment method is new to the hair loss field because traditionally, these sorts of treatments have been used (quite successfully) to treat serious conditions such as spinal injuries and rotator cuff tears. Rapidly gaining in popularity, this treatment presents a new opportunity for even the most severe cases of hair loss. Strand-by-Strand® Surgical: Our revolutionary, world-renowned hair treatment program works to relocate hair the way you lost it: strand by strand. Our surgical team has complete control over the volume, shape and appearance of your hair, which enables them to deliver consistently impressive and natural results. Strand-by-Strand® Non Surgical: Surgery is not an option for everyone, so we have developed a technique that gives you nearly all the benefits with none of the risks. With minimal maintenance, you can completely restore your head of hair back to what it was, while looking great from every angle. Female Strand-by-Strand® Non Surgical Hair Replacement: Hair loss is a serious concern for many women. This is why we specialise in treatments that work to completely restore the unique profile of female hair. Our Strand-by-Strand® treatment produces incredible, lifelike results to completely restore confidence and femininity. Advanced Singular Hair Grafting®: By combining surgical and non-surgical treatment programs, you can restore your hair’s lustre and body faster, as compared to just relying on any one individual treatment—all without sacrificing strength or appearance.